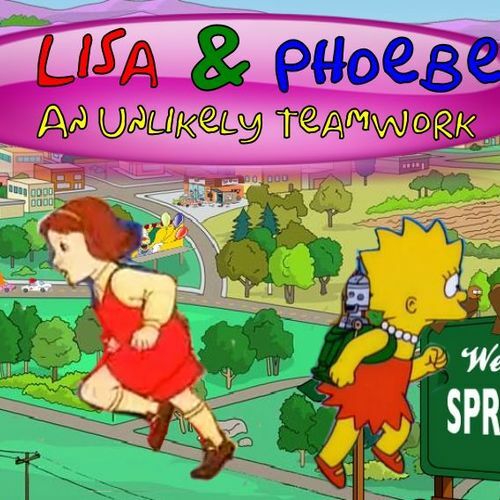 An RPG starring Lisa Simpson from The Simpsons and Phoebe from Magic School Bus. Together they stop a mysterious being from ridding the world of laughter. There's something fishy going on at school; no one is laughing or anything. I guess Bart is the one who is mentioned in the prophecy. I'll go on my own adventure just in case I am the child they mentioned. Listen, Phoebe. If we work together, we can defeat this monster! 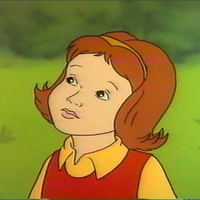 Character from Magic School Bus. 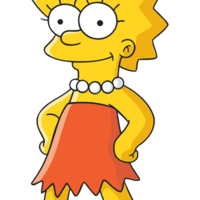 Unlike Lisa, she's a bit on the nervous side and is not likely to put herself into danger. At my old school, I never went on adventures! A world without laughter? That's horrible! Well, if I want the world to laugh again, I must stop this threat. Lisa's older brother. 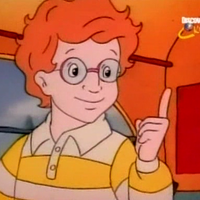 When he hears that the prophecy says "a young pointy haired child and their red headed friend" must save the world, he goes to fulfill the prophecy. Lisa and Phoebe will run into him a few times throughout their adventure. 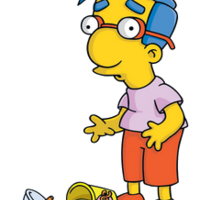 C'mon, Milhouse! Let's save the world! 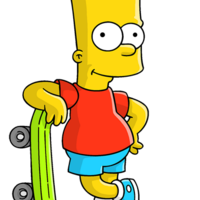 Bart's best friend. Despite the fact that a red haired child is one of the two who can defeat Kuraijaaku, Bart paints Milhouse's hair red so they can go defeat her together. Ow! I just skinned my knee! Bart, can I wash off this paint? It smells really funny! 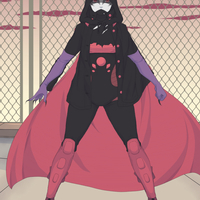 The main antagonist of the game. She wants to rid the world of laughter along with her cohorts, the Malsensum gang. I imagine she sounds like an evil version of Twilight Sparkle. Laughter is the worst thing to ever happen on this earth. Those two girls think they can stop me? HA! I doubt it! The time has come to kill those two twerps! 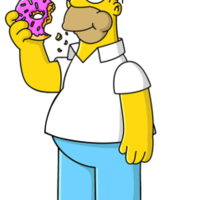 Bart and Lisa's father. Though he doesn't go on adventure, he helps his children from time to time. Lisa, these might not help you on your journey, but... I think they'll come in handy. D'oh! I guess I should've warned you about that attack. 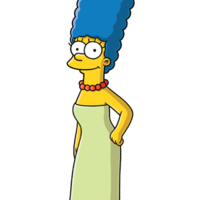 Bart and Lisa's mother. Like Homer, she doesn't do much on the journey and will only help from time to time. No matter what happens, I'm proud of you. The world wants laughter, so you must save it. 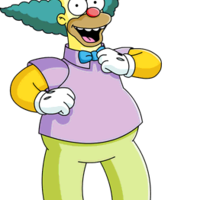 You have to save all the clowns in Springfield! I knew I should've stayed home today! Wait, Phoebe! This might not help you, but... please take it anyway.